16 Must Have Wedding Photos!! If you're going to splurge on anything for your big day, splurge on your photographer. This individual will be responsible for capturing all the biggest moments of your special day, helping you preserve your memories. Experienced professional photographers should have some good ideas about what moments are especially important to photograph, but you should put together a list of pictures you want to be sure you get, too! Here are our recommendations for the top 16 wedding photos every bride and groom should have. Before you put them on, be sure to snap a shot of your dress hanging up next to your bridesmaid's dresses, and a pic of your shoes all lined up together! 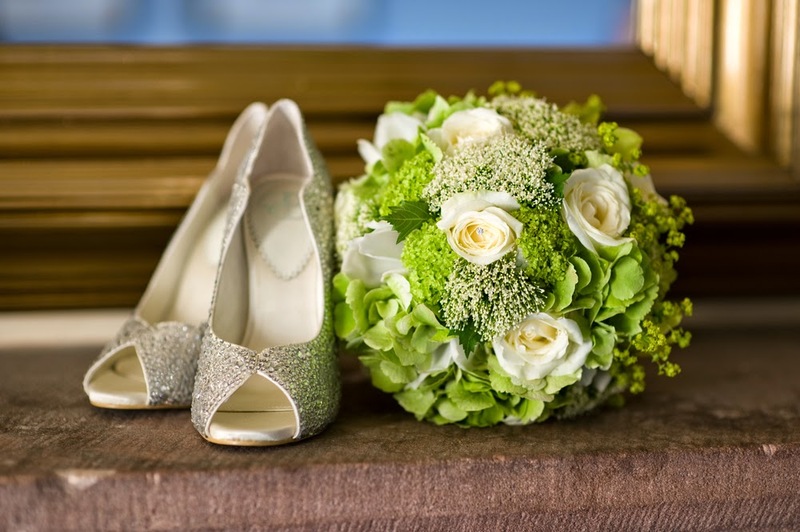 Feel free to get artsy with your shoes, your bouquet, your rings, and your dress. These will be the first steps towards recreating your day in your wedding album. Capture your final "single lady" moments as you put the finishing touches on your lipstick, mascara, or hair. 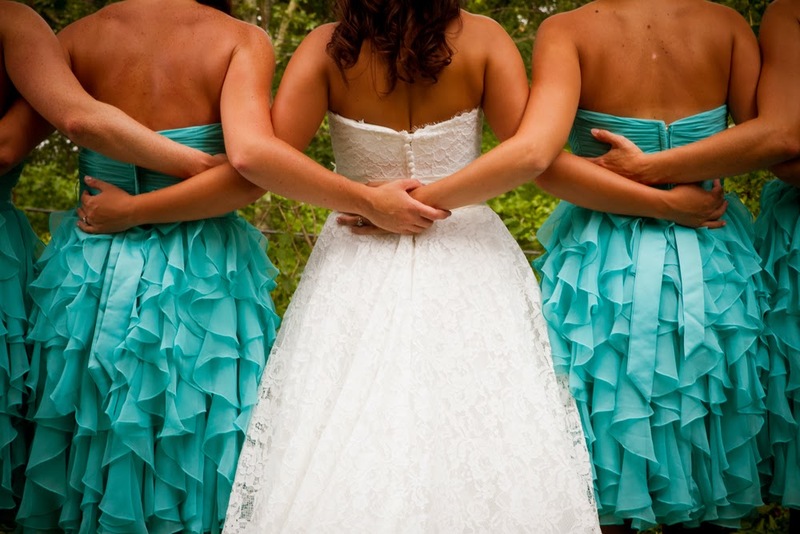 This can also be a perfect time to snag a few shots of you getting ready with your bridesmaids! Send a photographer into the groom's dressing room to get a few final pictures of him and his groomsmen. A photograph of them doing a toast or fist-bumping can be great fun! Whether you and your groom first see each other on the aisle or in a secluded "first look" setting, make sure your photographer captures the moment when you first lay eyes on each other. This unforgettable moment will probably become your favorite photograph. Make sure you get pictures of each person progressing down the aisle. The ceremony will probably fly by in a bit of a blur, so these pictures will help you remember it in all its detail. This is the time when you and your fiance ultimately promise yourselves to one another. No doubt it will be an incredibly special moment you'll want to capture! Make sure your photographer is positioned close enough to the alter so he/she can get the perfect photograph. 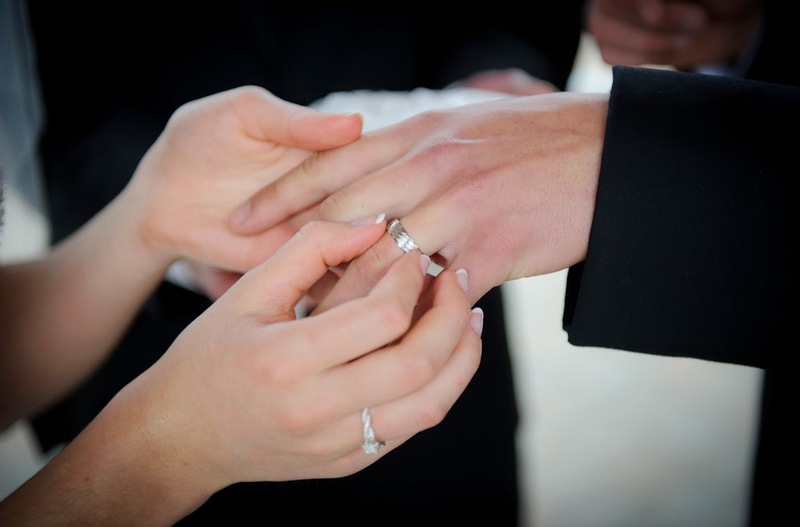 This is the perfect opportunity to get a close-up shot of your hands as you slide your rings on each other's fingers! The close-up angle will give the moment the intimate feel it deserves. Congratulations! The walk back down the aisle signifies your first moment together as a husband and wife. This will be a photograph you will enjoy looking back at after years of marriage. Make sure you get a variety of photos of you and your groom. It's important to get some formal, posed shots together, but don't forget to take some fun, candid shots too! You'll want to get several pictures with your bridal party. In addition to group photos with everyone, snag some shots of you with each of your individual bridesmaids - and have the groom do the same with his groomsmen. This is also the time to take pictures with your flower girl and ring bearer. As with your couple shots, it's important to find a good balance of formal and fun photos. Take the time to get several photos with you and your fiance with both of your parents. In addition to your individual family shots, take some pictures of the two of you with both sets of parents together - and your grandparents, too! These photographs will help represent the fact that today, two families become one. It will probably be difficult to get a picture with every single guest, but your photographer should be able to get at least a few pictures of you and your new husband greeting your guests in the receiving line. What a fun memory! As with the wedding kiss, the first dance really doesn't need an explanation! Your photographer should be able to angle the shot to create a beautifully romantic effect. Don't forget to get a picture of your groom dancing with his mother and you dancing with your father! Everyone in the family will cherish these incredibly sweet pictures. In addition to the specific dance pairings, make sure your photographer gets a few shots of the dance floor filled with all your guests! These pictures will tell the story of your reception and help everyone reminisce about how much fun it was! 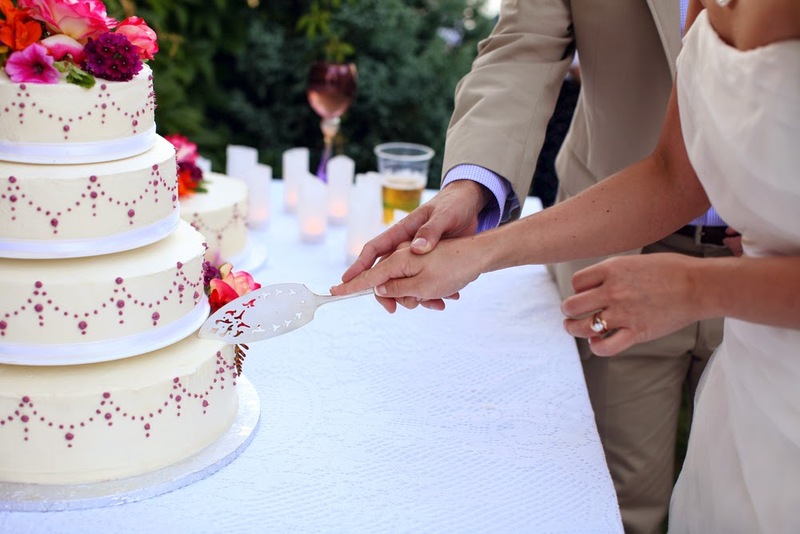 Whether you and your fiance choose to tenderly feed one another a bite of delicious wedding cake or ceremoniously shove it into each other's faces, the cake ritual will be a moment you won't want your photographer to miss! When it's all said and done, your photographs will be the key to unlocking the beautiful memories of your wedding. These suggestions should be a great way to help you get started, but you can also check us out on Pinterest for more must have wedding photo ideas! Don't stress about getting the "perfect" photograph. All that matters is that you take pictures that help you recreate your big day. As long as you and your groom act like yourselves in your pictures, you're guaranteed to love them! Wedding Thank You Notes: SIMPLIFIED! 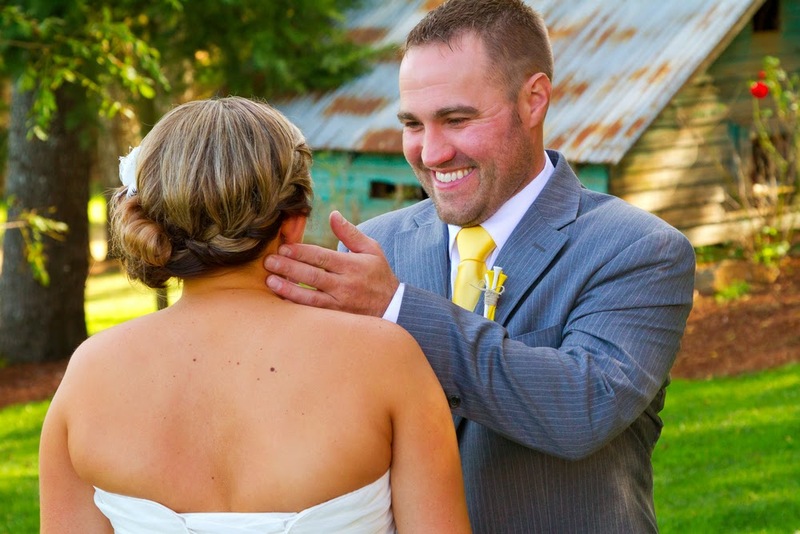 Writing Meaningful Wedding Vows In 10 Easy Steps!